The survey included a response from 99/151 (66%) of NHS Trusts, so is a pretty good barometer of opinion! The request was that it should be completed by the Director of IPC (“DIPC”), although this may well have been deferred to others (and in our case, done over a coffee as a team). Firstly, it isn’t an evidence-based set of guidelines. Perhaps, and rather depressingly, this is why 80% of respondents didn’t think that the Toolkit is an effective way to prevent CPE! I accept there wasn’t much relevant evidence when the Toolkit was written, but there is now more relevant evidence (e.g. our study on repeated admission screens). Secondly, some of the recommendations are not implementable in a medium-sized or large NHS hospital (for example, three screens each separated by 48 hours with pre-emptive isolation, and using a fixed list of countries to identify ‘high-risk’ admissions). I think the Toolkit is really only implementable to the letter in a hospital that is generating a very small number of risk patients for screening (which is likely to be a small hospital due to the way the risk factors are configured). Thirdly, the suggested detailed risk assessments are too restrictive to be useful for frontline staff; this came up in the narrative feedback. Kudos to PHE in commissioning this scientific process to evaluate opinion on the Toolkit. The Toolkit remains useful in providing ideas to build a local policy; two-thirds of respondents used the Toolkit in this way. But the Toolkit is due a makeover, and when it is revised, it needs to decide whether it’s going to be an evidence-based guideline or a more pragmatic set of recommendations. I think with more and more emerging resistant organisms, there needs to be a wider review. 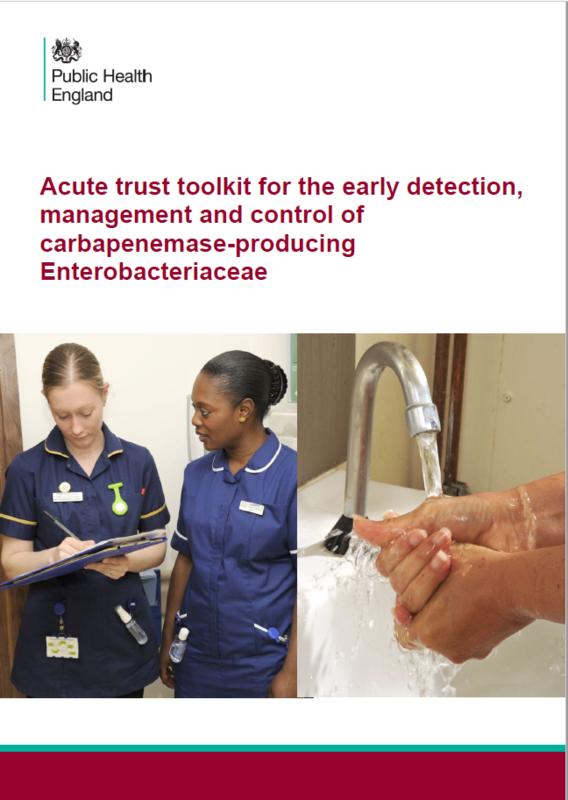 Instead of having a toolkit for every bug (MRSA, CPE, XDR, MDR, Candida auris etc., the list will go on) Could we not have a more practical toolkit which covers measures for all, which is less confusing for staff and just tells them what to do in a simple form (1 page, at a glance pathway). We have such low staffing levels and high agency, we need to make life easier for them but still provide top level prevention and control. Also when are we going to have an England IP policy and reflect what Scotland/Wales has already done. We spend so much time of writing/reviewing polices, time which could be spent better supporting wards/departments.